Conquer the world, one bite at a time! 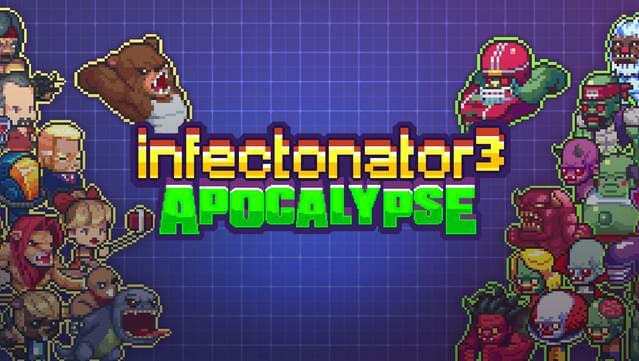 Infectonator 3: Apocalypse is a fast-paced simulation-strategy game where your goal is to destroy humanity with your growing army of mutating zombies. Drop your virus into an unsuspecting population and watch the chaos unfold. 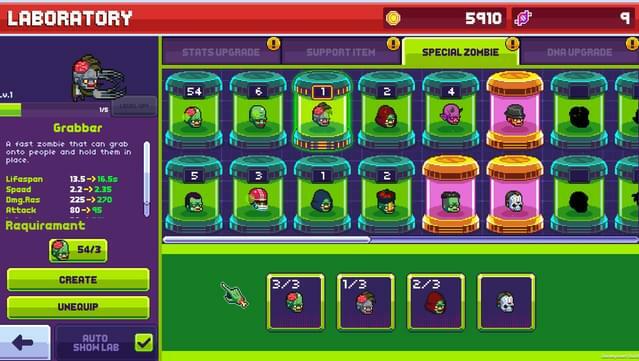 Upgrade your virus, splice DNA, and unlock dozens of undead creatures with unique powers. 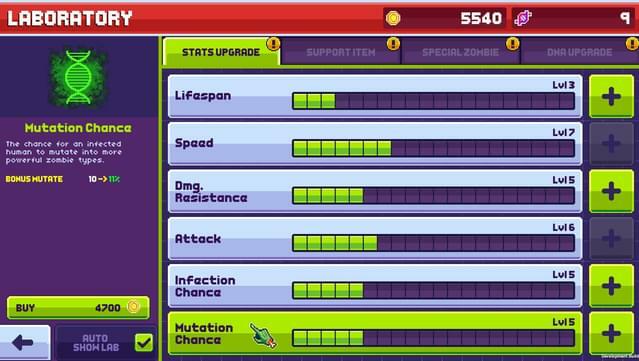 Over 35 Zombies to Discover and Craft – Splice DNA to unlock new mutations, from common walking-undead to leaping alien parasites. 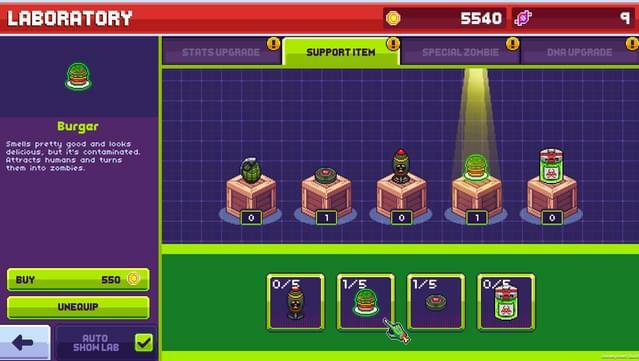 Build your brain-hungry army and master their abilities to turn humanity into mulch. 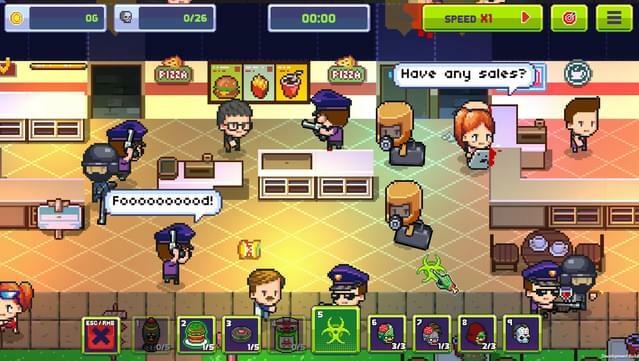 A Wonderfully Warped World – Infectonator 3: Apocalypse takes place in the real world... well, sort of! As you destroy the globe, you'll encounter parodies and morbid humor of all sorts, but beware. The humans will not go quietly, and have their own defenses. 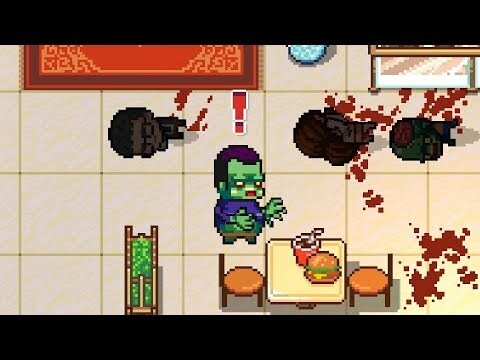 Classic Pixelart With a Modern Twist – Expressive and cute-yet-creepy 2D humans and monsters roam dynamically lit 3D environments. 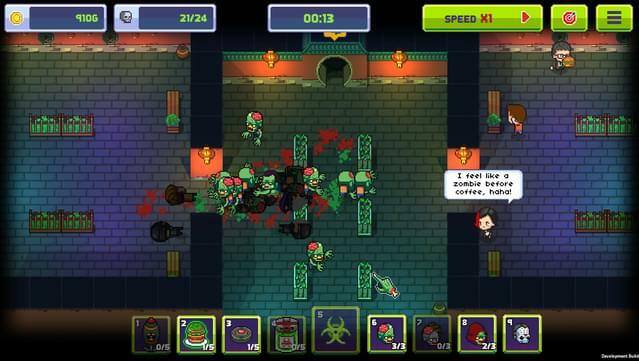 Sending hordes of undead monsters to devour flesh has never looked so pretty! 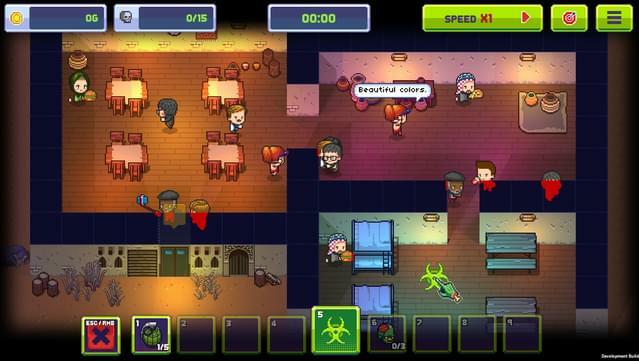 Over 200 Unique Interactive Levels – Open or lock doors, blow up walls... use the environment to your advantage and make sure your zombies get to the very last human to earn bonus cash and creatures for your lab. Built for Replay Value – Randomized events, mutations, and locations gives every play session a new experience. Destroy the world, again and again!